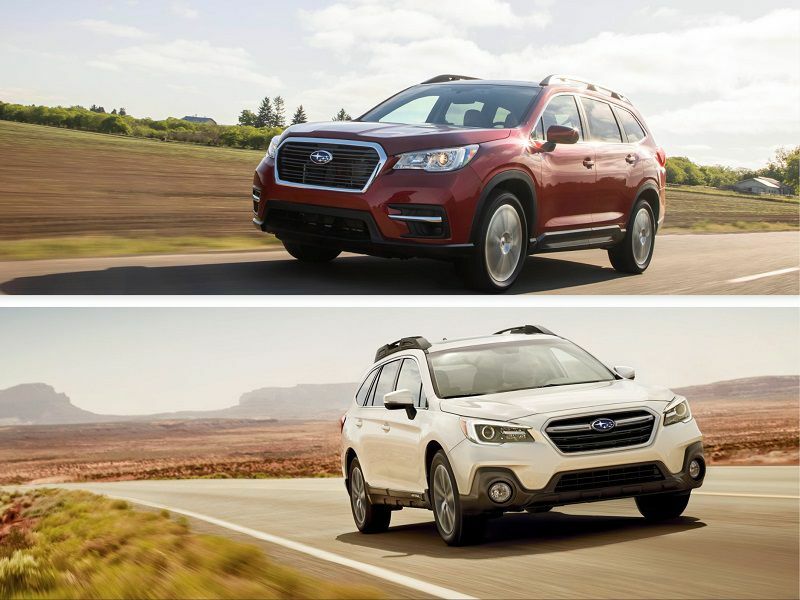 2019 Subaru Ascent vs. 2019 Subaru Outback: Which is for you? 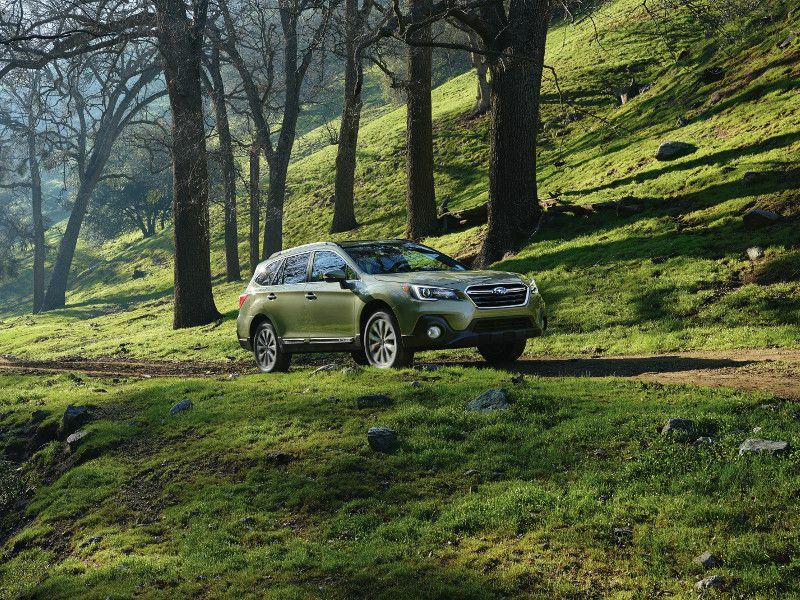 So, you want a Subaru, and you’ve narrowed your choices down to either the Ascent or Outback. 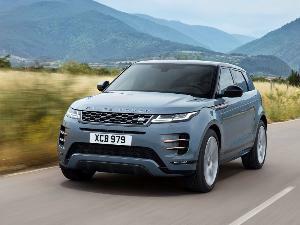 Both have plenty to offer, but there are key differences between these two SUVs. The features you put at the top of your must-have list will determine which of these vehicles is best for you. 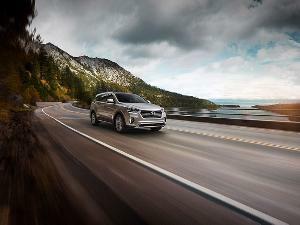 This head-to-head comparison of the 2019 Subaru Ascent and 2019 Subaru Outback will help you decide which is the best choice for you and your family. The biggest difference between these two models is size. 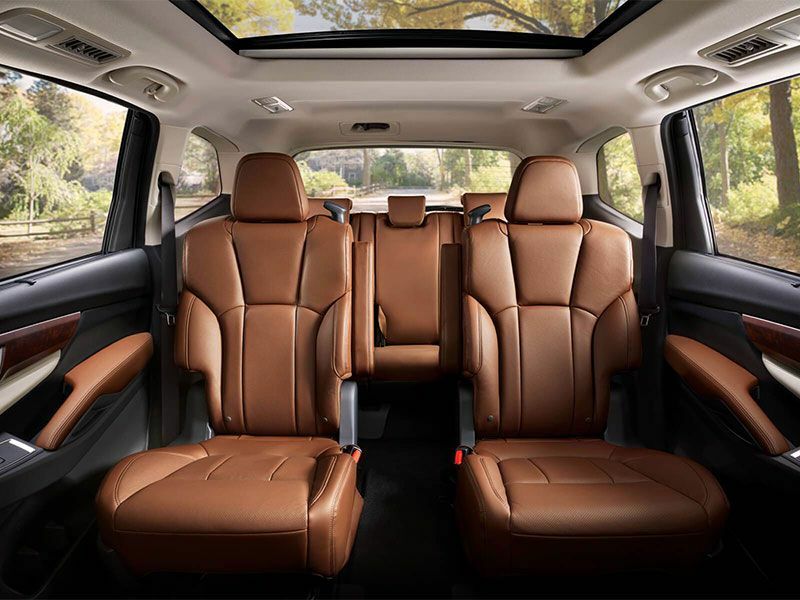 The all-new 2019 Subaru Ascent is the brand’s largest vehicle ever, with three rows of seating and room for up to eight passengers. Opting for second-row captain’s chairs drops seating down to seven but offers a more comfortable ride for those in the middle row. The Subaru Outback is a five-passenger SUV with only two rows of seating. If you frequently have three people sitting in the second row, then it’s a tight fit for longer trips and not ideal if those passengers are adults rather than kids. Those who plan on frequently taxiing multiple kids to and fro will find the Ascent a more suitable choice. The third row of seating bumps up the price. The 2019 Subaru Ascent is available in four trims priced from $31,995 to $44,695 for the top Touring trim with seating for seven. 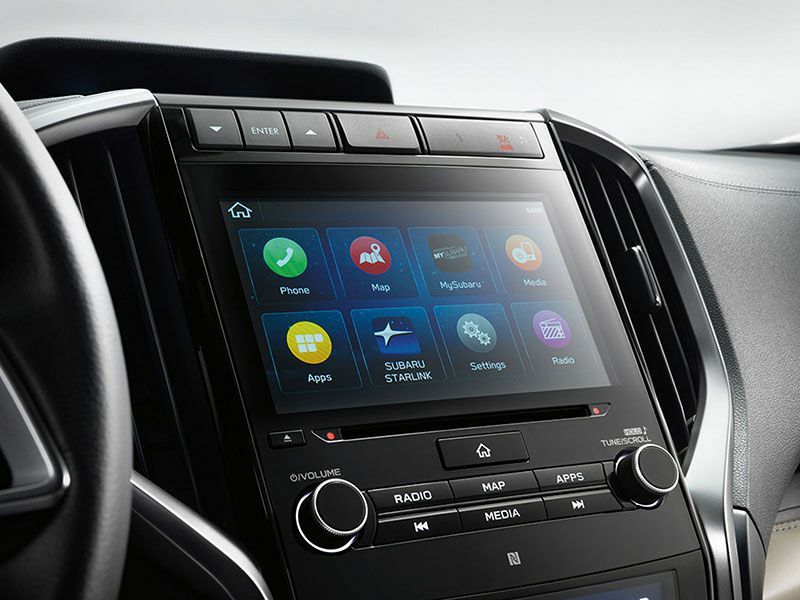 Standard features include all-wheel drive, Subaru's X-Mode system with hill-descent control, active torque vectoring, and EyeSight driver assistance technology. There are 60/40 split-folding seats in the second and third row and 19 cupholders to accommodate a large family. The 2019 Subaru Outback is also available in four trims. There are two engine choices and pricing ranges from $26,345 to $38,995. It boasts similar standard features including all-wheel drive, active torque vectoring, X-Mode with hill-descent control, and EyeSight. It’s comparably equipped to the Ascent, but its smaller size means more affordable pricing. A variety of powertrain choices offer plenty of performance. 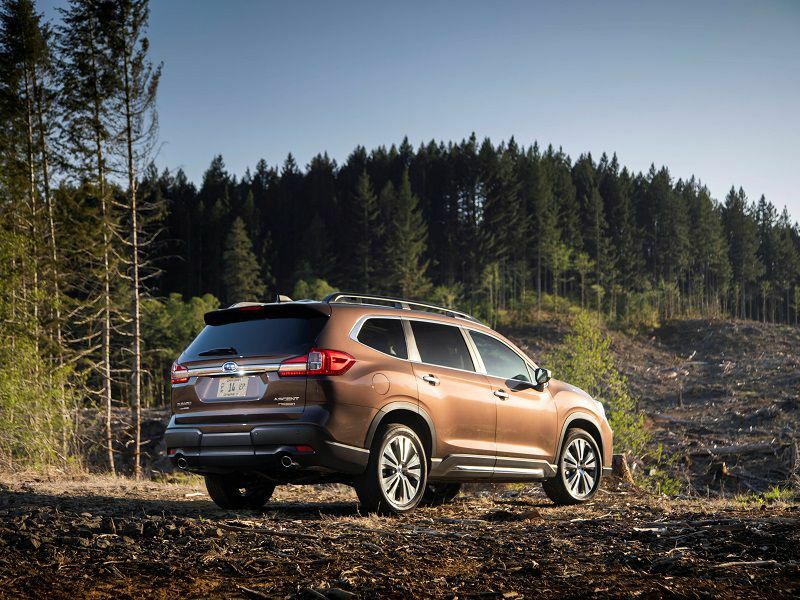 Power for the 2019 Subaru Ascent comes from a 2.4-liter turbocharged four-cylinder engine with 260 horsepower and 277 lb-ft of torque paired to a continuously variable automatic transmission. This is your only choice across the lineup, and it offers a powerful and responsive ride that easily moves this full-size SUV. 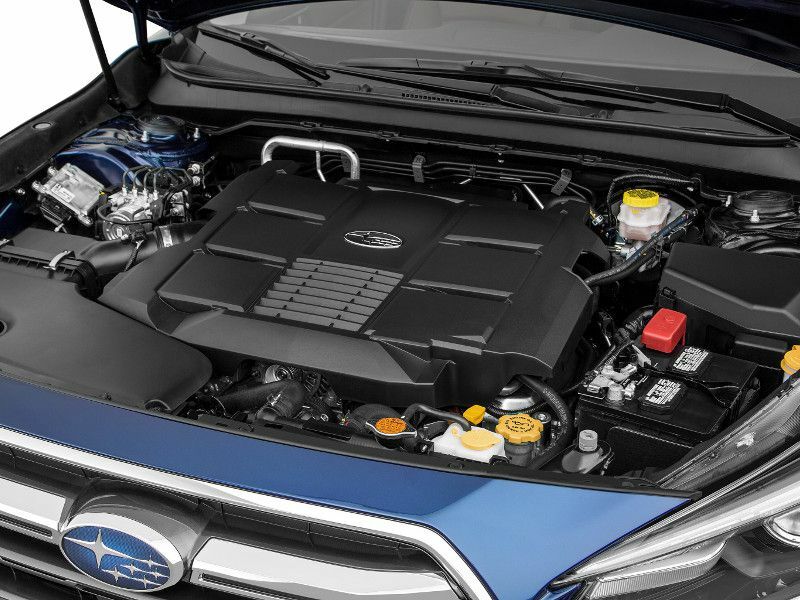 The 2019 Subaru Outback offers two engines. 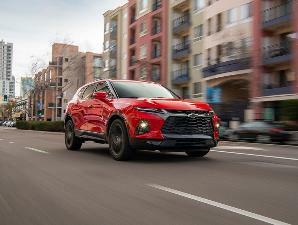 Base models have a 2.5-liter four-cylinder with 175 horsepower and 174 lb-ft of torque, while the top two trims offer an optional 3.6-liter six-cylinder with 256 horsepower and 247 lb-ft of torque. Both are paired to a continuously variable automatic transmission. Even the base engine is responsive, but that more powerful six-cylinder offers a downright sporty drive. Subaru has a reputation for building capable vehicles, and the Ascent and Outback live up to that reputation. The Ascent comes with standard all-wheel drive, 18-inch wheels, and 8.7 inches of ground clearance. There’s also active torque vectoring for improved handling on rough terrain and slippery road conditions and X-Mode with hill descent control. The Outback matches the Ascent with standard all-wheel drive, active torque vectoring, 8.7 inches of ground clearance, and X-Mode with hill descent control. It offers slightly smaller 17-inch wheels with 18-inch wheels only on top trims. The Ascent offers an option for 20-inch wheels. It’s close and neither will disappoint, but the Ascent's larger wheel choices could help some buyers decide. If it’s cargo rather than people that you’ll be carrying, then the Subaru Ascent offers plenty of room. There’s up to 17.8 cubic feet behind the third row, 47.5 cubic feet behind the second row, and 86.5 cubic feet behind the front seats. It can also tow up to 5,000 pounds, making it a capable cargo hauler even with a crew of eight passengers along for the ride. The Outback offers less room for cargo, with 35.5 cubic feet behind the second row and 73.3 cubic feet behind the front seats. It also comes in short of the Ascent on towing with a maximum tow rating of 2,700 pounds. High marks for safety with good standard features. Both the Ascent and Outback received high marks from the Insurance Institute for Highway Safety with Top Safety Pick+ designations, which is the group’s highest rating. The National Highway Traffic Safety Administration likewise gave both vehicles its top overall rating of five stars. Standard features include EyeSight driver assist technology with automatic pre-collision braking, adaptive cruise control, lane departure and sway warnings, and pre-collision throttle management. 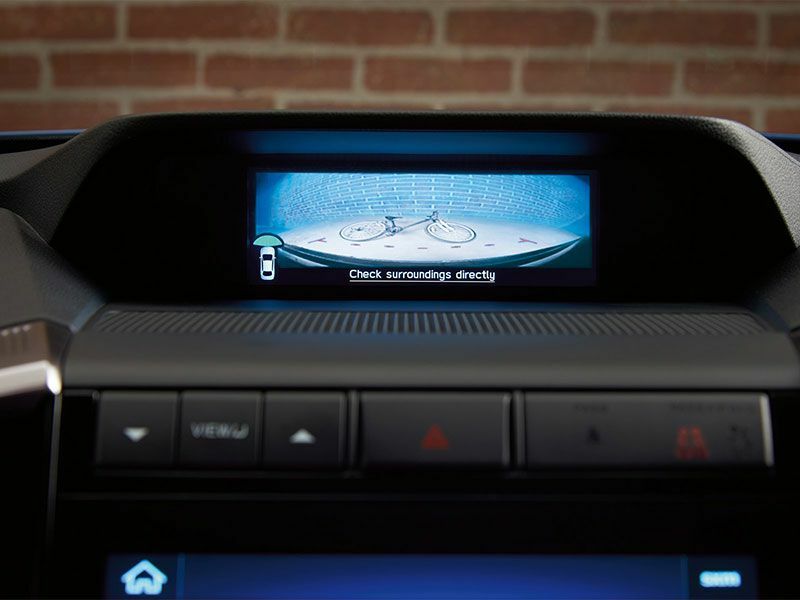 The Ascent adds an EyeSight Assist Monitor with a head-up display for system warnings, which makes it easier to see them and less likely you’ll miss notifications. Power matters when it comes to fuel economy. Fuel economy for the 2019 Subaru Ascent is 21 mpg in the city, 27 mpg on the highway, and 23 mpg combined. This drops to 20 mpg in the city, 26 mpg on the highway, and 22 mpg combined for the Limited and Touring models. 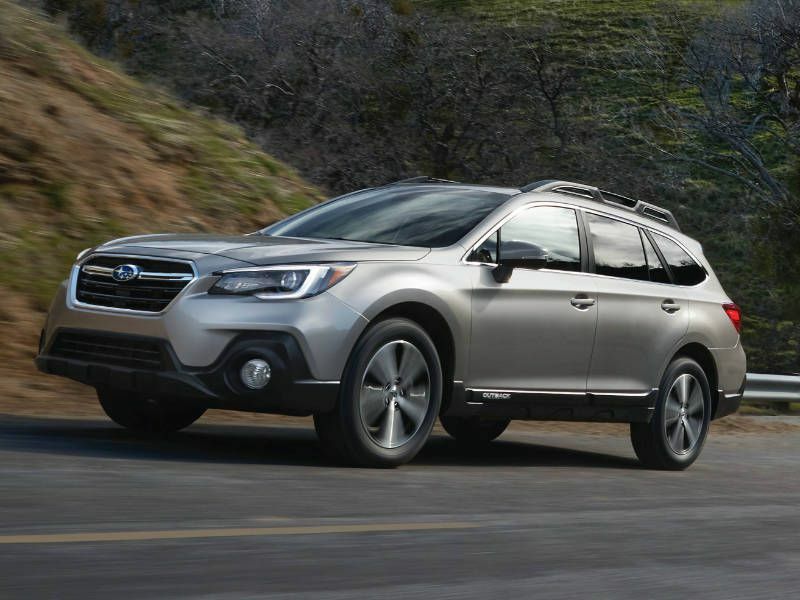 The 2019 Subaru Outback gets 20 mpg in the city, 27 mpg on the highway, and 22 mpg combined with the 3.6-liter six-cylinder engine. Choose the 2.5-liter four-cylinder instead, and the numbers jump to 25 mpg in the city, 32 mpg on the highway, and 28 mpg combined. It’s an even match between the Ascent and the Outback with the more powerful engine, but the Outback's four-cylinder is a fuel-economy champ. Connectivity is a priority, and the Ascent takes the lead. 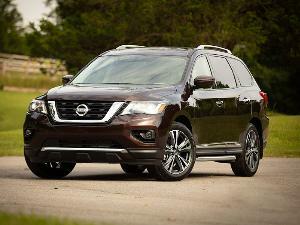 Infotainment in the Ascent and Outback is nearly an even match. A 6.5-inch screen with Apple CarPlay and Android Auto is standard, with an 8-inch screen in the middle of the range and navigation added to the top of both lineups. The Outback features a standard four-speaker audio system with an available six-speaker system in the middle and a Harman Kardon surround sound system at the top. The Ascent starts off with a six-speaker system. It also has 4G LTE Wi-Fi connectivity and dual front- and second-row USB ports, plus third-row ports in the top trim. The Outback has only standard front USB ports with second-row ports added as you move up the range. Keeping the everyone comfortable on those family road trips. A family car needs to be comfortable, especially on those long-distance road trips. The Outback offers ample room for five passengers with available features including a 10-way power driver’s seat, heated front and rear seats, a heated steering wheel, and leather upholstery. It also has dual-zone automatic climate control and reclining rear seats. 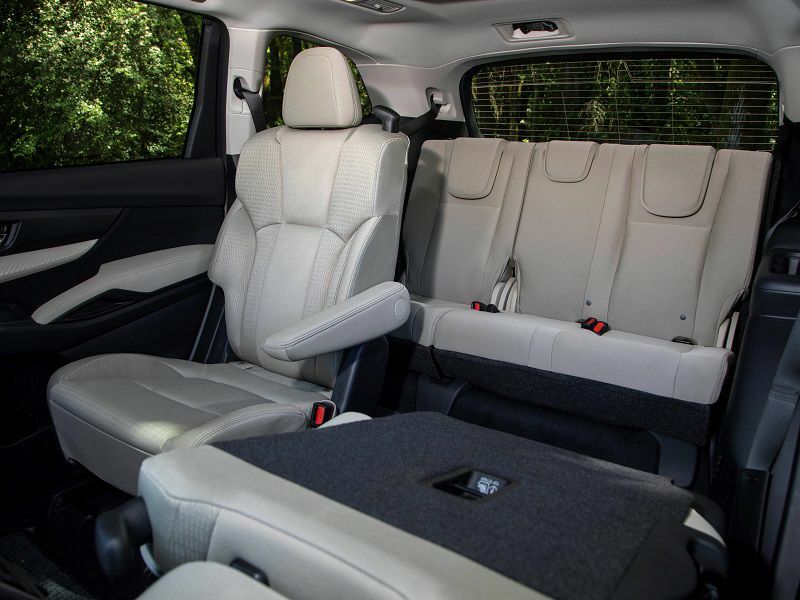 The Ascent offers room for up to eight passengers with an available eight-way power driver’s seat; heated front seats, second-row seats, and steering wheel with ventilated front seats; tri-zone climate control; and second-row climate controls. It also has additional USB ports that make staying charged and passing the time easier. 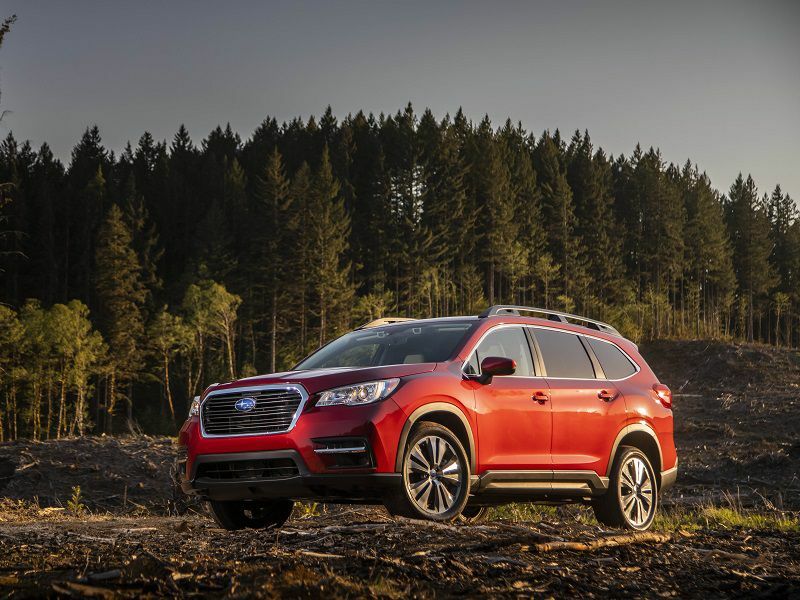 The 2019 Subaru Ascent and 2019 Subaru Outback are similar, yet there are significant differences between the two. 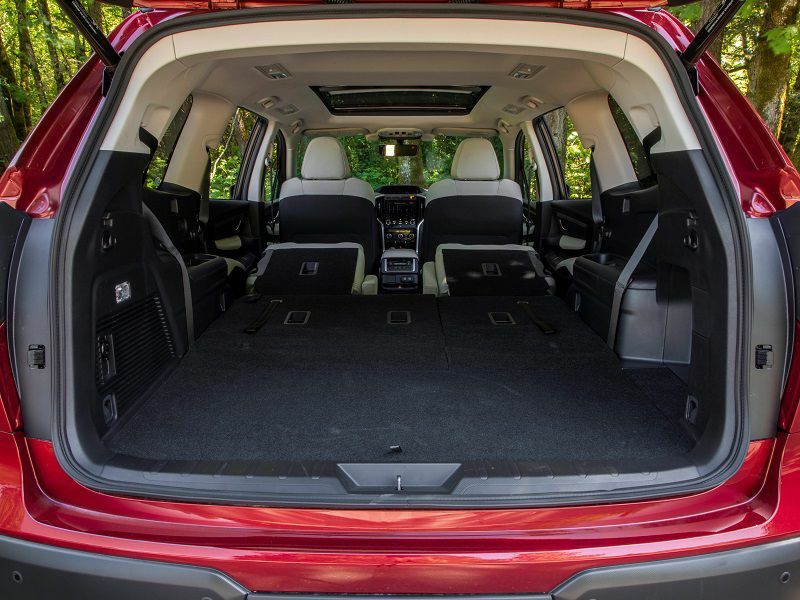 The Ascent offers a third row of seating along with greater cargo capacity and towing capability, making it better suited to large families. The Outback offers only two rows, but also comes in with a wider range of available trims, lower pricing, and better fuel economy. The Outback works well for smaller families, but the Ascent has the flexibility to carry more passengers and cargo, along with better amenities. 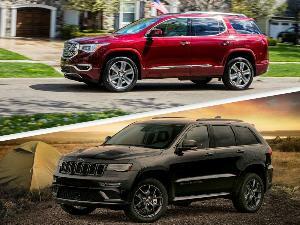 2019 Jeep Grand Cherokee vs. 2019 GMC Acadia: Which is Best?